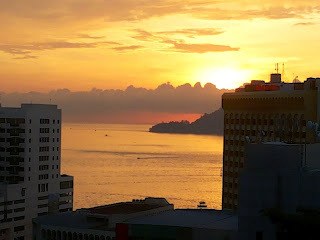 The above picture is taken from the Oceanus Waterfront, Jesselton city center. 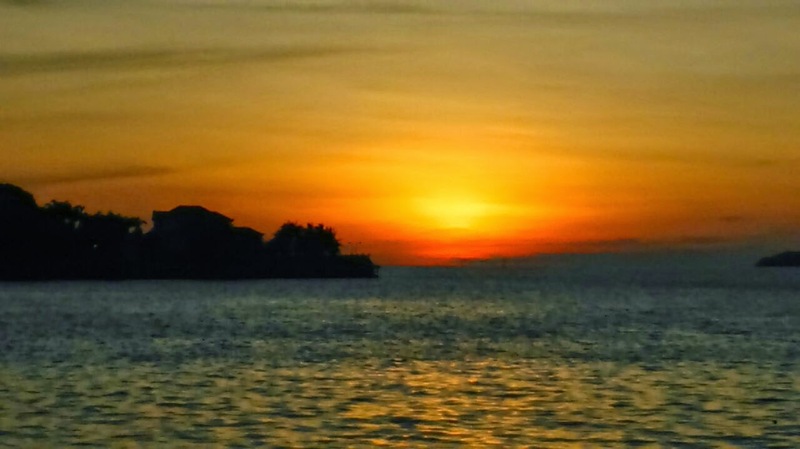 Sunset is the daily disappearance of the sun below the western horizon as a result of the earth rotation. 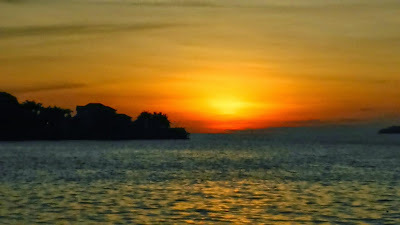 Sunset creates unique and often intense glow of orange and red colors of the sun and surrounding sky. Sunset colors are more brilliant than sunrise because the evening air contains more particles than morning. 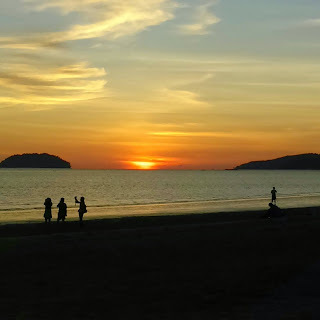 Because of these airborne particles, the ray of the sunlight with shorter wavelength such as blue and green are filtered out leaving the longer wavelength to reach the viewers eyes. 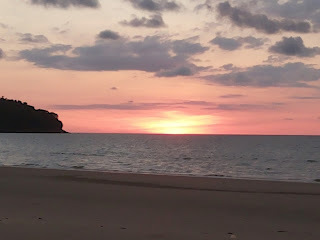 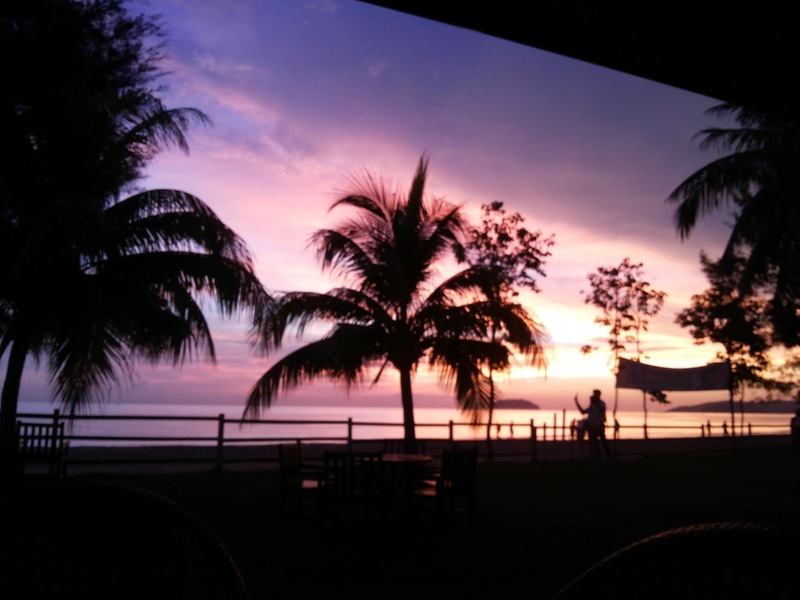 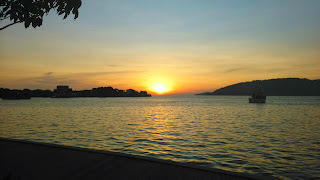 Different travel magazines justified different places as their preferred top 10 best sunset locations in the world, and on many occasions, Jesselton is mentioned as one of them. Jesselton (Kota Kinabalu) is the capital of North Borneo (Sabah).